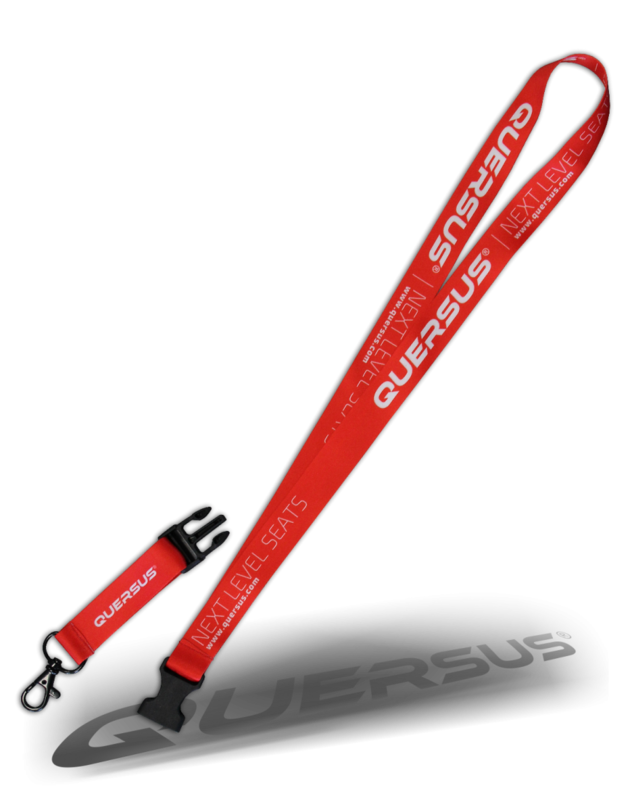 Red leash for phone or documents with the Quersus logo. In polyester. 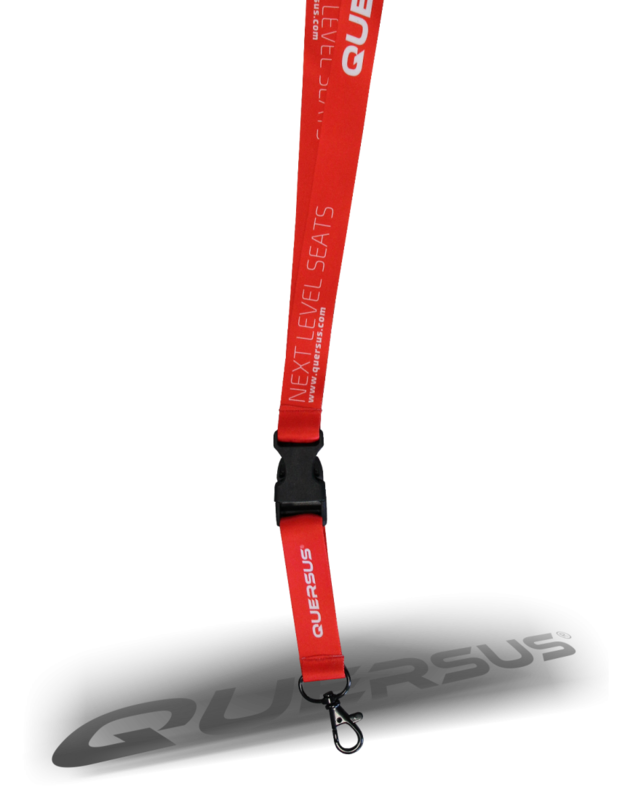 Length around 54cm.